You are buying the Kendall Levin Stomach Tube 18 FR 48" Single Lumen 50/bx, model #155713. ADW Diabetes offers a complete line of Enteral Feeding supplies like feeding pumps, feeding tubes, feeding bags, and the related nutritional supplements. At ADW Diabetes, we offer enteral feeding supplies in both single and bulk packaging for your convenience. 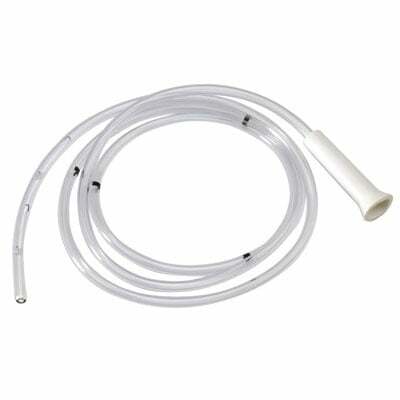 The Kendall Levin Stomach Tube 18 FR 48" type stomach tubes are a single lumen clear PVC nasogastric tube. This tube is approved for gastric suction, irrigation, and administering medication. Markings 18" (46cm), 22" (56cm), 26" (66cm) and 30" (76cm) from distal end.